Taking the step towards online promotion not only means you set yourself up for an increase in revenue. It also means you can help more people in need, standing knee deep in the water. 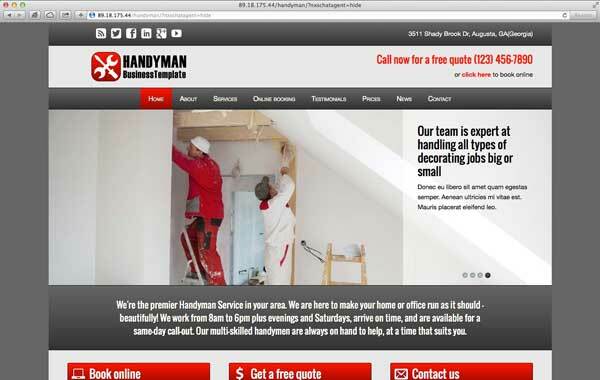 The Handyman WordPress theme is just as versatile as the professionals they need to serve in this industry. It's homepage directly shows the areas of expertise of these allrounders. From plumbing, to electrics, decorating and the odd job it's all there and will prove to be the perfect theme to showcase the skillset of yourself or your team. 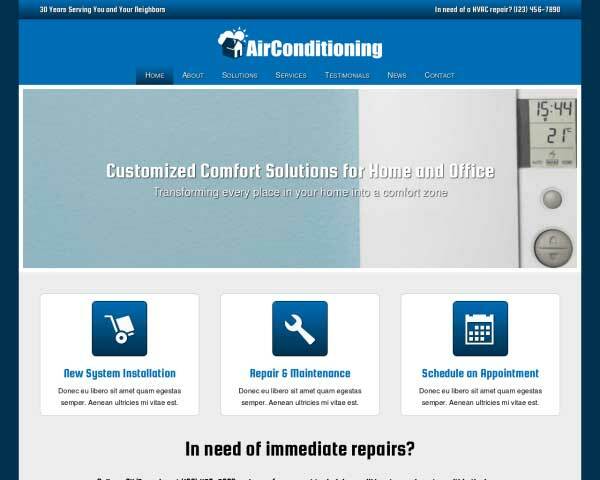 Furthermore it has some great business features already configured to easily set up your business website. 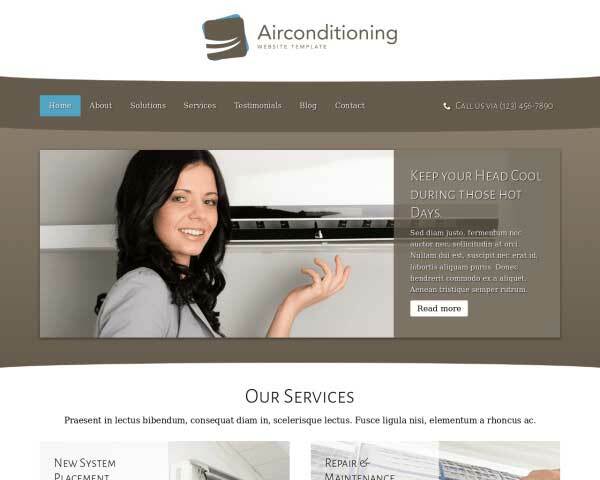 Fully laid out service detail pages, a rates overview, online booking form, testimonial page, news section with powerful blog features and the right call to actions in exactly the right places. 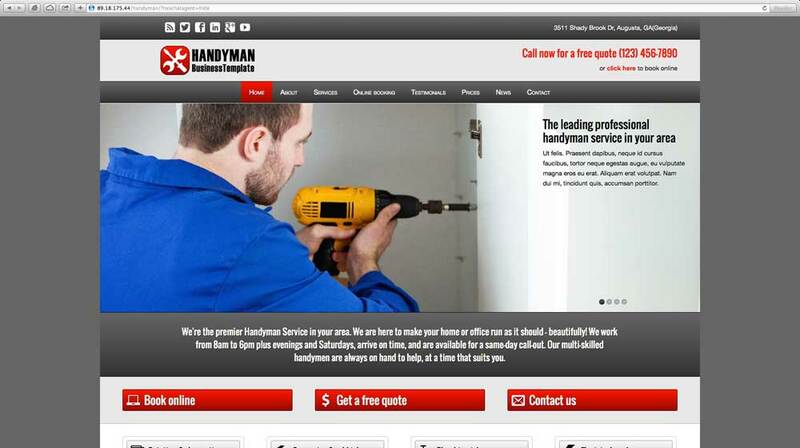 The Handyman WordPress theme was made to convert visitors into clients. And, to top it of, it's fully responsive, has great social media features like the Facebook Like Wall and Twitter feed, and has a state-of-the-art front end editor. It's WordPress so the Handyman WordPress Theme can't do without a good blog overview, which also is an excellent way to attract more visitors. 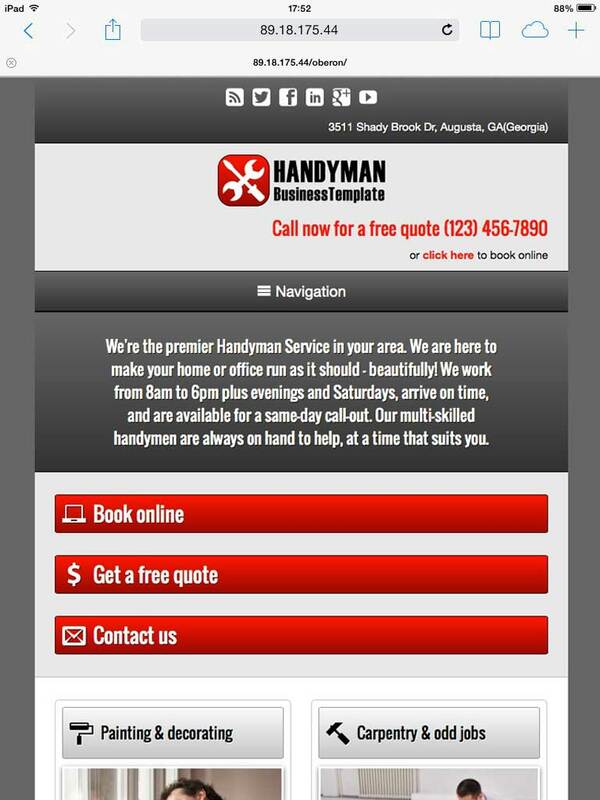 Visitors won't have to search for a way to get in touch thanks to calls to action prominently displayed on every page of the Handyman WordPress Theme. The Handyman WordPress Theme has a dedicated feature to display your professional you or your team members to the public. The Handyman WordPress Theme's contact page is built with useful features like an integrated Google map, route planner and a contact form that can be customized to suit your needs. 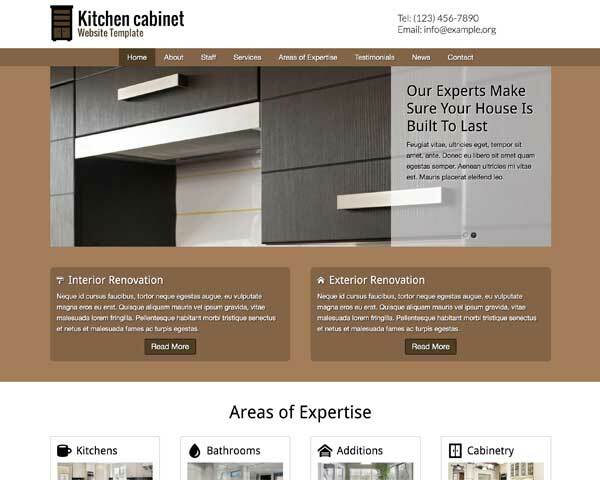 Ideal for handymen, the Handyman WordPress Theme is specifically designed to help you get website online fast. 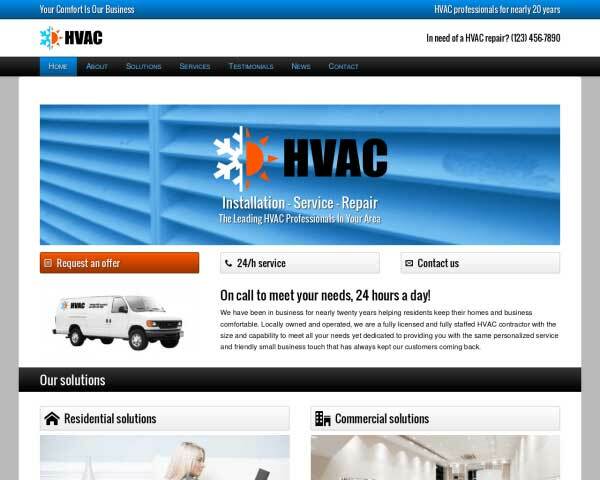 The Handyman WordPress Theme comes equipped with a clean rates overview. Neatly divided it gives you the ability to inform your clients of your ongoing rates. 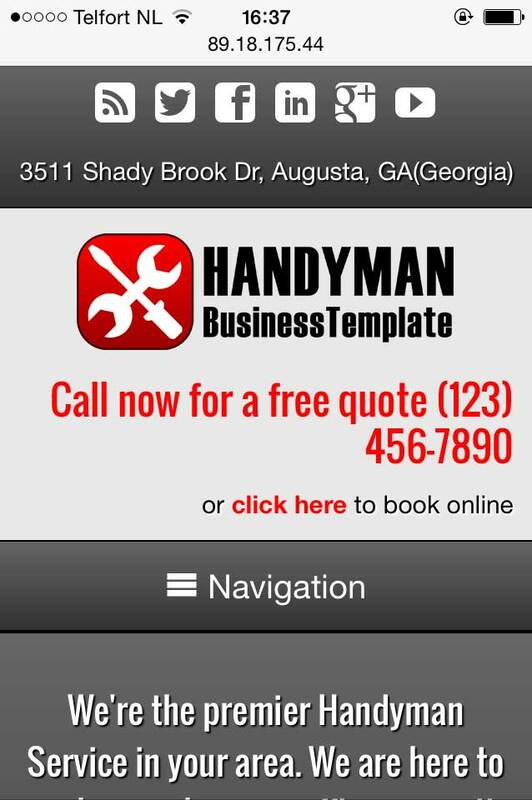 Customers coming in will be able to book online anytime with the Handyman WordPress Theme's built-in reservations form. Easily customize the fields to suit your needs. 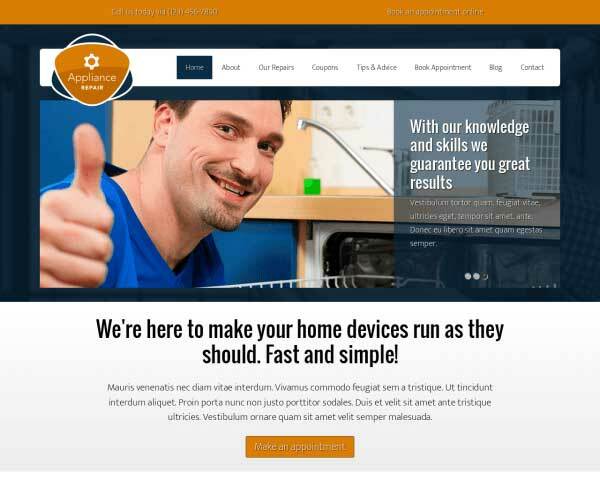 The Handyman WordPress Theme is designed with an effective, simple layout that allows your main proposition to steal the show. Use as is or personalize the color scheme to suit your style. 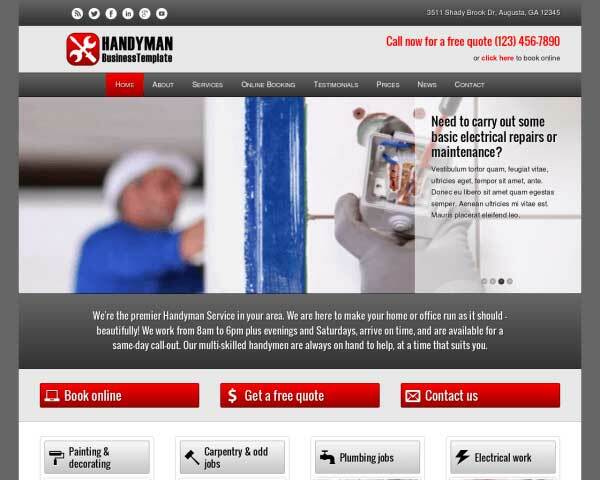 The Handyman WordPress Theme comes pre-populated with service pages designed to suit the needs of handymen. Simply replace the default content and that's it! Attractively display client feedback with the Handyman WordPress Theme's quote widget. Just paste in your own text and the quotes will be automatically styled with no coding required. 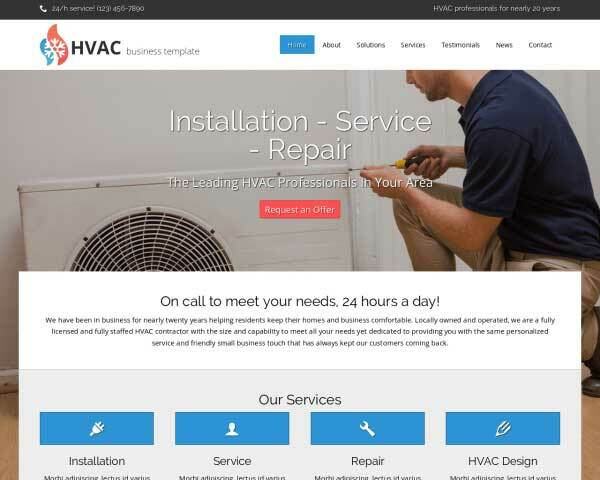 The homepage of the Handyman WordPress Theme features an attractive overview of your most popular services, offering visitors quick navigation to more details about each service. With each passing year, having a mobile website becomes more and more adamant for business owners out there. Since the inception of the first iPhone in 2007 the use of smartphones and tablets has exploded beyond comprehension. A lot of us can no longer imagine a world without our smartphone. So the "mobile" requirement for websites has become a widespread phenomenon. 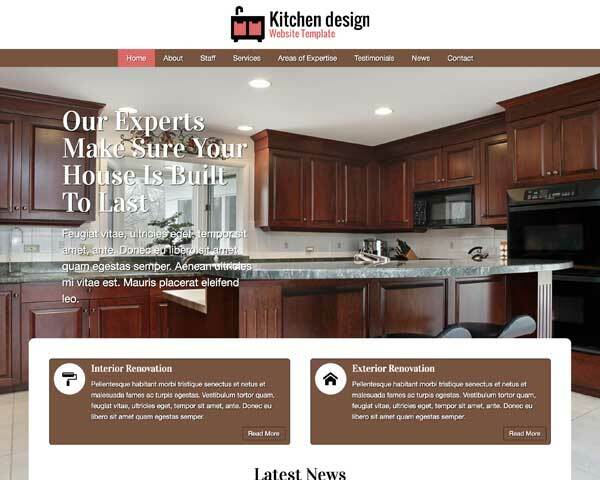 With the responsive Handyman WordPress theme you are certain your site has gives an optimal user experience to your visitors. No matter what device they use to view it.